You don't need big-ag's Golden Rice, you just need a garden. July 16, 2014 (LocalOrg) - Corporate biotechnology monopolies like Monsanto, Syngenta, Bayer, and others have met increasing resistance to their attempts to patent and control global agriculture. They have spent untold fortunes attempting to sway the public but to no avail. Local, organic agriculture is growing in popularity and proliferating across all social-strata. The introduction of technology to automate and augment organic farming is making it as competitive and accessible or more so than the capital-intensive models of monopoly employed by big-ag. In response, big-ag has attempted several distasteful public relation stunts, including "super bananas for Africa" and "Golden Rice" to allegedly feed Asia's poor. Golden Rice, once it is widely released, will be much more cost-effective, as agricultural economist Alexander Stein has shown. Despite common misconceptions, no one stands to get rich when poor farmers start growing Golden Rice. Instead, it will represent a fundamentally different approach, an embodiment of the old "teach a man to fish" adage. Business Insider's source? 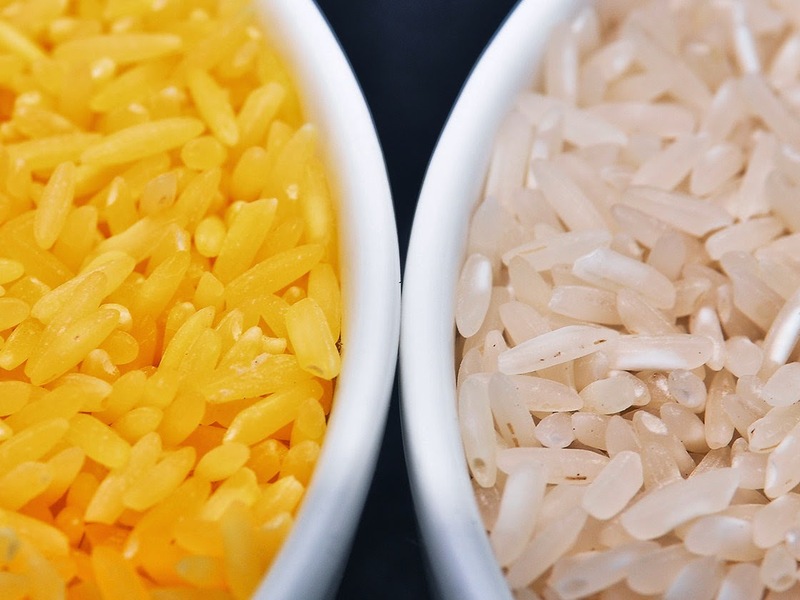 Big-ag giant Syngenta and the "Golden Rice Humanitarian Board." The board, of course, is stacked with big-ag-funded "NGOs," USAID representatives, and representatives of big-ag itself. The board represents the revolving door between corporate monopolies and big-government - and their combined efforts to use every means necessary to advance their collective self-interests. Contrary to their claims of altruism, the initial profit of selling the rice to farmers will be immense. Posing as an act of charity will secure taxpayer subsidized funding from governments around the world to "feed the children." Once the genetically engineered rice is being grown, big-ag herbicide, pesticide, and chemical fertilizer regiments will reap billions more, all likely to be subsidized as well - diverting state resources away from traditional, localized, and more effective nutritional and agricultural development programs. There is also another profit to be made, one not of money directly, but in terms of public perception. Using the Trojan Horse of "charity" to proliferate genetically modified crops that are otherwise wholly rejected around the world, will constitute big-ag's "foot in the door" in gaining wider acceptance for their monopolizing and destructive business model. The very name, "Golden Rice Humanitarian Board" reflects the frequent ploy of inserting "humanitarian" anywhere exploitation and human rights are being violated the most. The "humanitarian war" for instance, is a term used to sell unpopular extraterritorial military aggression. For big-ag, "humanitarian crops" are used to push unpopular and dangerous biotech products on the planet's most vulnerable people. Don't You Want to Save the Children? The paid-for narrative of big-ag's lobbying efforts to push Golden Rice revolves around portraying anti-GMO activists opposing the scheme as wanting to "starve children." The simplistic propaganda ploy is as dishonest as it is insulting. The very concept of relieving suffering throughout the developing world with a monoculture of genetically altered "super gruel" at face value is both undignified and untenable. In Thailand for instance, one of the world's leading producers of rice, those who grow rice - and would potentially grow Golden Rice - do so for the sole purpose of selling it. They do indeed consume part of their annual harvest - but the species they grow are determined by market demand. Not only is there no demand for genetically modified rice species, nor will there ever be, Golden Rice contaminating the thousands of varieties of native, organic rice species Asia's rice farmers do depend on for their livelihood would be an immeasurable catastrophe. Tainting native species, however, will be a boom for big-ag - opening a door that cannot be closed again and inviting the rest of its business model into markets it was previously restricted from. Consumers unable to avoid genetically modified rice would have no choice but to accept it, along with other genetically modified products. This is the truth behind the tangibly desperate drive to push Golden Rice through. Additionally, encouraging people to sustain themselves on a single crop is irresponsibly dangerous - with the practice of monoculture farming already responsible for miring thousands in debt when their single crop fails or market fluctuations make their single crop unprofitable. For farmers already existing along the edge of poverty and debt, depending on a single crop multiplies, not hedges the potential for disaster. At every juncture big-ag claims its products are for the benefit of the impoverished, starving, and those who till the land. But today, most farmers still scratch a living at the lower end of the socioeconomic spectrum - particularly those who regularly buy into big-ag's various monopolies over seeds, fertilizer, herbicides and pesticides. As Greenpeace and Grain.org have noted, the solution to malnutrition can be as simple as having farmers diversity their crops and for rural populations to grow their own personal or community gardens. ...a range of projects, such as ecologically farmed home and community gardens, that increase access to healthy and varied diets can eradicate not only VAD, but simultaneously tackle other nutrient deficiencies. Ecological farming can in fact better contribute to healthy and diverse diets by empowering people to access and produce their own healthy and varied food, which is the real long-lasting solution populations affected by VAD need. Not only do community gardens and diversifying crops give farmers and the impoverished access to a more varied and dignified diet, it opens the door to polyculture - the growing of more than one crop for both personal consumption and for additional income. Organic polyculture is promoted in Thailand by the head of state as part of a national self-sufficiency program and those that practice both self-sufficiency and sustainable economic growth, avoid both the pitfalls of debt and the dangers of monoculture farming. Education is also key. 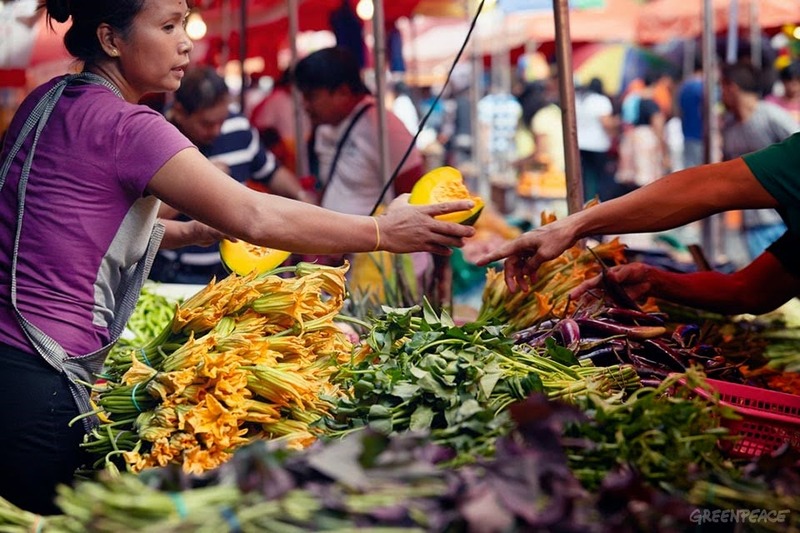 Raising awareness as to what causes malnutrition and how to prevent it will raise the demand for a variety of fruits and vegetables giving farmers added incentives to diversify their crops. It will also produce the political impetus to pursue other pragmatic solutions, such as community gardens and networks of local farmers' markets. Ultimately, if immense amounts of government funding must be spent to solve global malnutrition, why not spend it on initiatives that will give the poor access to the same variety and dignity in diet that the rest of the world enjoys? Why insist on an expensive, risky, and proven dangerous genetically modified monoculture model that will essentially feed the poor "GMO super gruel" instead? The benefits for big-ag and perpetuating their immense and unwarranted power over global agriculture is clear - so are the dangers and exploitation faced by the impoverished poor these monolithic corporations are pretending to help.